Learn basic crochet stitches with 9 easy projects. 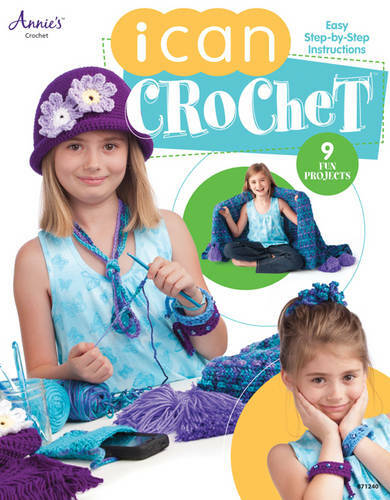 This book is great for preteens or anyone that want to learn how to crochet. A complete guide to everything a beginning crocheter needs to know with color photos that lead you step-by-step to make a chain stitch, single crochet, half double crochet, double and triple crochet stitch. You'll also learn to make a Granny square, join crochet pieces and work in continuous rounds. Great tips and guides to help you along the way. This book is excellent for teachers or anyone who wants to teach themselves the art of crochet. Skill Level: Beginner.